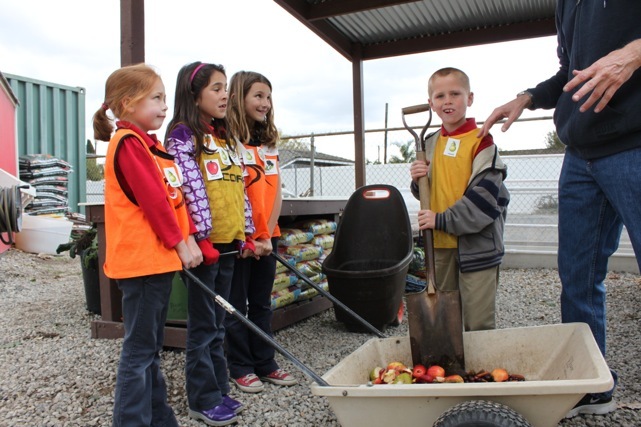 All the second grade students take turns collecting food scraps like banana peels, apple cores, and egg shells to feed the earth worms in our worm compost bins. 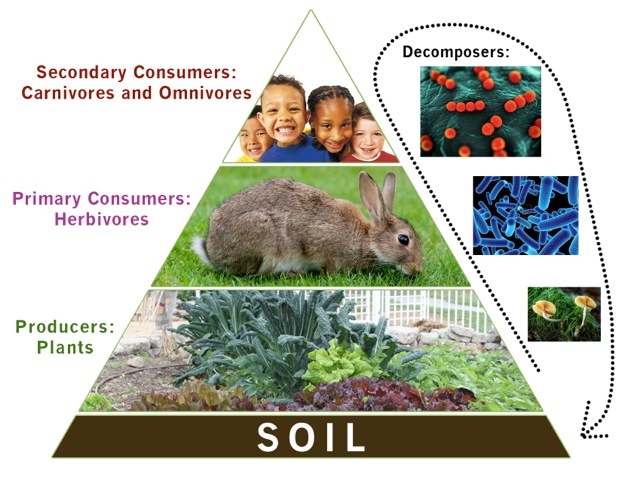 Garden Energy Pyramid: The Energy Pyramid is a 4th grade Science Standard concept that the 4th graders learn about when they participate in the hot compost program. 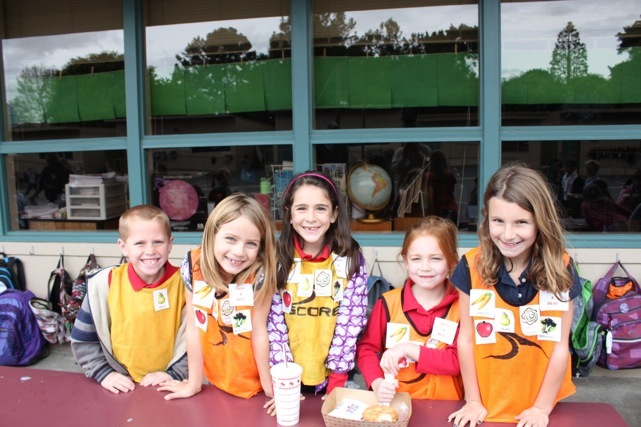 The second grade students wear vests when they collect food scraps to tell other students what our earthworms can and cannot eat. 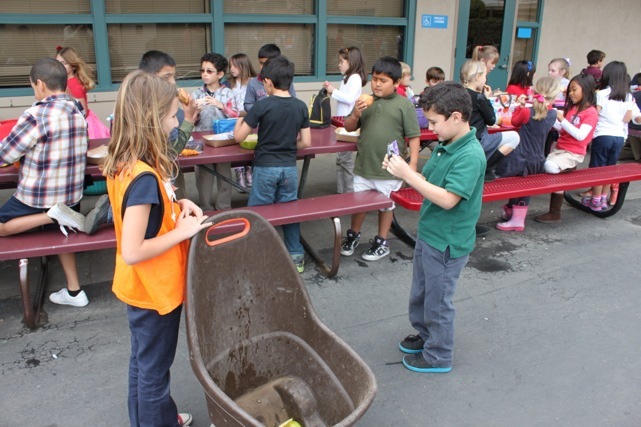 The second graders enjoy chopping the food scraps into smaller pieces so the earthworms can eat them more easily. The more the earthworms eat, the more they poop! Earthworm poop, or worm castings, is one of the best organic fertilizers in the world. 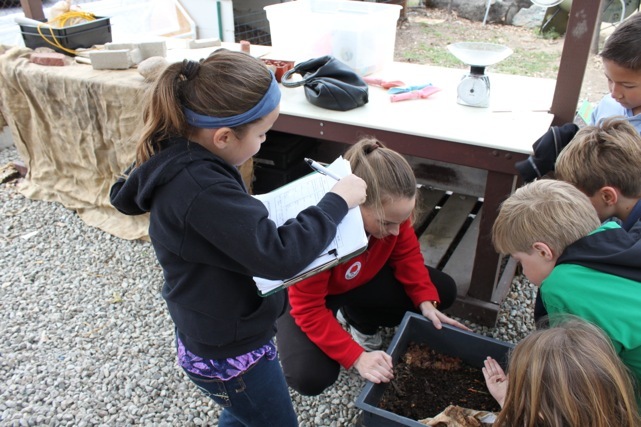 Students regularly record data in both worm compost and hot compost programs. This data is synthesized in the classroom using CA State Standards for Math. The data and data synthesis help students understand processes like decomposition and it’s benefit to the total garden ecosystem.